This statuette became world-famous thanks to Hergé, who incorporated it in his eponymous Tintin comic The Broken Ear. 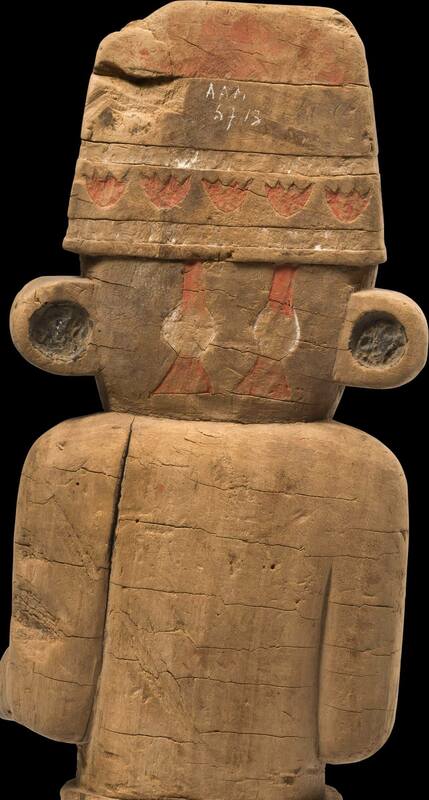 It was purchased in 1934 in Lima by Henri Lavachery, the then conservator of the museum, during a stop en route on his expedition to Easter Island. It was first exhibited in our museum in Brussels in 1935, where it drew Hergé’s attention. The ears of the original are both intact, but it lacks a foot. It was not carved by the fictional Arumbayas in the Tintin album but by the Chimú. 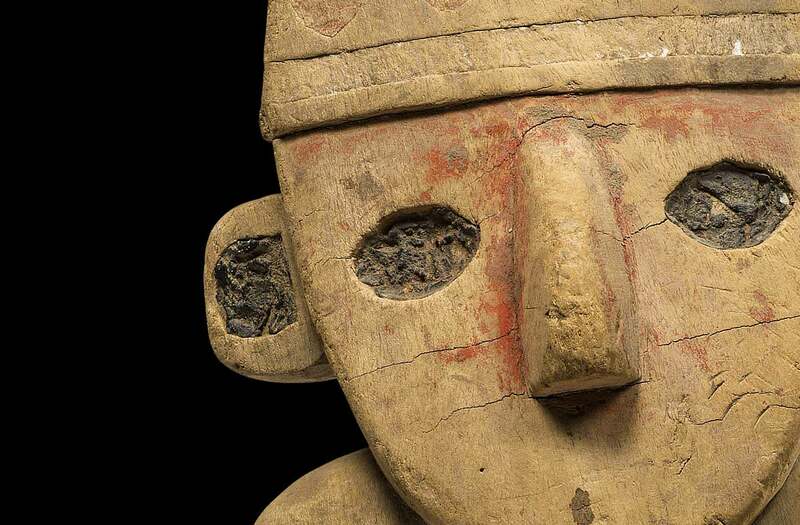 The statuette is dated between the 13th and the 15th century and represents an offering bearer. Wooden models of this type, which were found during archaeological digs in La Huaca de la Luna in the Moche Valley, were used in various ceremonies. When a dead person was buried, statuettes like this one would be added to the grave goods and offerings, as the dead person’s litter-bearer. Come see this object with your own eyes in our America collection.